In our return to the Utah story of the ill-fated SunFirst Bank payment processing operation at the heart of the United States “Black Friday” online poker, we’ll again look into the recently released 206-page report authorized by the Utah House of Representatives into activities of disgraced, resigned former Utah Attorney General John Swallow. This time, we’ll examine portions of the report that verify the extent and nature of the lobbying involvement of the Poker Players Alliance in connection with the online-poker processing being conducted through the SunFirst Bank of St. George, Utah. A couple of weeks back, FlushDraw looked into the close ties between former AG Swallow and prominent SunFirst figure Jeremy Johnson. We offered a pair of features, one of which included excerpts from two separate bribery accusations made by Johnson that involved US Senate Majority Leader Harry Reid, of neighboring Nevada. One of those two bribery tales, in turn, involved the purported sending of a million-dollar bribe on behalf of Full Tilt Poker, one of the US-facing online poker sites for whom Johnson and Chad Elie were doing poker processing for through SunFirst. As part of that bribery allegation, which first surfaced a year ago within a secretly recorded meeting between Johnson and Swallow, Johnson claimed that he himself sent the money to associates of Reid. The second recent feature here at FlushDraw detailed documentation from the Utah report showing that the poker-processing operation of Johnson and Elie being run through SunFirst was threatened by a possible shutdown far earlier than previous poker-world reports had ever imagined — a full year before the Black Friday indictments were handed down against individuals connected with the SunFirst operation and the three largest US-facing poker sites, Full Tilt, PokerStars and Absolute Poker. Today we return to the Poker Player Alliance’s lobbying connection to the SunFirst processing being conducted in Utah. 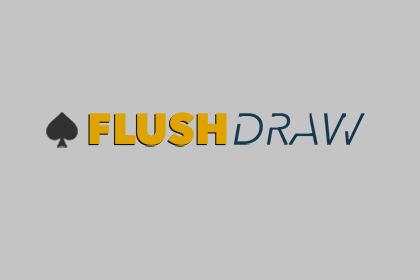 A year ago, FlushDraw published a five-part series (Part 1 – Part 2 – Part 3 – Part 4 – Part 5) detailing the Poker Players Alliance’s lobbying connection to the Utah processing effort, based on excerpts from the infamous “Krispy Kreme” Johnson/Swallow recording and information received from other sources. Those sources included the Salt Lake Tribune, which has spearheaded the Swallow investigation, and which forwarded some e-mails that were subsequently published here. Pappas concluded, “It is disgraceful that the PPA’s name has been inserted in this supposed ‘news story’ by an editorial writer who has a history of being critical of our organization.” The writer in question is Haley Hintze. (emphasis P5s). That blast came despite Pappas subsequently admitting on a poker-discussion forum that he’d also exchanged at least five e-mails with Johnson and others connected to the poker-processing lobbying in some way, including prominent gaming attorney A. Jeff Ifrah. And of course, there was more to the story, and as these things usually go, the deeper tale eventually comes out. What had happened in roughly the same timeframe was the issuance of subpoenas by authorities in New York (the SDNY) and Maryland (Anne Arundel County) regarding the SunFirst poker-processing operations, since deposits and withdrawals originated by agents posing in those jurisdictions were tracked as moving through SunFirst. That led to some urgency to find legal protection for the Utah processing, which at that point was only a couple of months old. Included in that was the procuring of several pro-gaming legal opinions from industry-friendly lawyers, which were sent to Johnson and Chad Elie as well, with the idea of forwarding them and getting a favorable opinion from the Utah AG’s office. Following his sentencing for his role in the SunFirst operation, Elie published some of those opinions, which he alleged were distributed by Ifrah, the foremost of the gaming attorneys working on behalf of the sites. Elie eventually sued Ifrah and lost; the case was dismissed on technical grounds related to Elie’s own plea, though Elie has also asserted that Ifrah helped coordinate the lobbying effort. “He was the conductor,” wrote Elie to this writer, in a Twitter DM. Ifrah did not respond to an interview request. Pappas also declared in public statements connected with the initial publication of the lobbying meeting last year that “SunFirst” was never specifically mentioned by name, and that can now be seen as a construct of convenience allowed by Johnson’s probably unplanned absence. Instead, the talks about poker processing were done in general terms, with both sides later talking about Pappas’s appeal to “federalist” principles, a word used by Pappas himself in later discussing the matter, and which also occurs in the report in a summation later offered by Swallow and his own legal counsel. There’s also never been any indication that Pappas himself was involved in any illegal activity, despite the obvious later attempts to bury the Utah lobbying story … along with anyone writing about it. It is possible that Pappas was ordered to attend and lobby on the direct order of one of the two large companies who at that time were funding over 99% of the PPA’s operations, Full Tilt or PokerStars, with Full Tilt being the site directly linked to the bribery attempt essentially admitted to by Johnson in his secret taping of the later meeting with Swallow. Nonetheless, it was all lunacy, a fool’s errand which very fittingly included an April Fool’s Day lobbying attempt. Utah’s stance as perhaps America’s most strident anti-gambling state made it wholly unsuitable for the SunFirst operation’s long-term prospects. Still, that didn’t stop anyone. Both sides, the processors and the AG legal bosses, continued making efforts to shield the operation and the lobbying from Utah’s generally anti-gambling eyes, and that’s what the larger part of the story’s relevance to the John Swallow tale is — for it involves the corruption of Swallow and his office, and his willingness to bend the law and do political favors for friends such as Johnson. The SunFirst Group thus sought a formal legal opinion protecting the SunFirst operation from the Utah Attorney General’s office. Swallow and Shurtleff quickly recognized that such a formal opinion might be legal suicide. How they dealt with this dilemma takes up several pages of the recent Utah report. Accompanying the draft opinion letter that Mr. Johnson sent to Mr. Swallow were other lawyers’ opinions arguing that federal law does not define online poker as criminal. Thom Roberts, the assistant attorney general who has informally handled gambling issues for the Office since joining in 1989, told the Committee that Mr. Swallow brought him a thick binder of these opinions and asked him to review it in preparation for a meeting with a poker industry trade association. AAG Roberts told the Committee that Mr. Swallow stated that he wanted Roberts to attend the meeting with industry representatives. AAG Thom Roberts, the Office’s gambling law expert whom Mr. Swallow had earlier said he wanted to attend the meeting was not told that the meeting was occurring. AAG Roberts told the Committee that, in retrospect, he thinks that he was “disinvited” for some reason. (36) In June 2010, AAG Roberts received an email sent by a representative of the U.S. Attorney’s Office in Maryland, which at the time apparently was investigating SunFirst’s poker-processing activities. Ex. 20. The email said that an Assistant U.S. Attorney in Baltimore had heard that the Utah AG’s office sent a letter to some combination of SunFirst Bank and/or entities in the online poker industry that stated that Internet poker was “legal according to Utah law, or something to that effect.” AAG Roberts replied that he had not sent any such letter, and no such letter was produced by the Office to the Committee during its investigation. That’s what the SunFirst group received for its months of nagging and lobbying, and it was that thread upon which the SunFirst operators later based some of their Utah arguments. FlushDraw and this writer also note the inherent date conflict, while noting that thousands of Swallow’s e-mails remain unrecovered due to his intentional deletion efforts. But the Swallow quote above comes from July 5th, 2010, while the footnote from AAG Roberts alleges that the existence of some form of letter or affirmation had been reported to him a month earlier, in June. also discussed with their visitors how Utah’s taking its own stand on poker could, politically, be portrayed as consistent with Utah’s view of federalism. At this point, Mr. Swallow faced a key decision. He could have advised Mr. Johnson that the answer was “no,” the proposed activity was not legal under Utah’s criminal laws. That was the view he would have heard if he had asked Kirk Torgensen, the Office’s lead attorney in charge of criminal matters. Mr. Swallow also could have referred the issue to Mr. Torgensen, to AAG Roberts, or to another attorney in the Office with substantive expertise in the issue, for an official review. Or he could have declined to respond at all citing Utah law and Office policy regarding such requests for advisory opinions. The Committee is confident that an ordinary Utah citizen would not have expected to receive a substantive response to a request sent to the Chief Deputy Attorney General asking for his “thoughts” about that citizen’s personal legal problems. Thus was the nature of Swallow’s time as Utah’s AG and Deputy AG. The Jeremy Johnson activities comprise perhaps a third of the allegations against Swallow, and the tale of the PPA lobbying visit to Utah — in and of itself, not illegal — and related matters perhaps a fifth of that third. Swallow himself may face as many as eight felony charges if the investigation, as expected, leads to the filing of formal charges. Yet the story as we reported on it last year was as true as it could be, according to the details that were available at that time. This recent release of more details confirms how desperate and concerted the effort was to create a legal channel shielding the Utah-based SunFirst poker processing… though it remained a fool’s errand, after all.